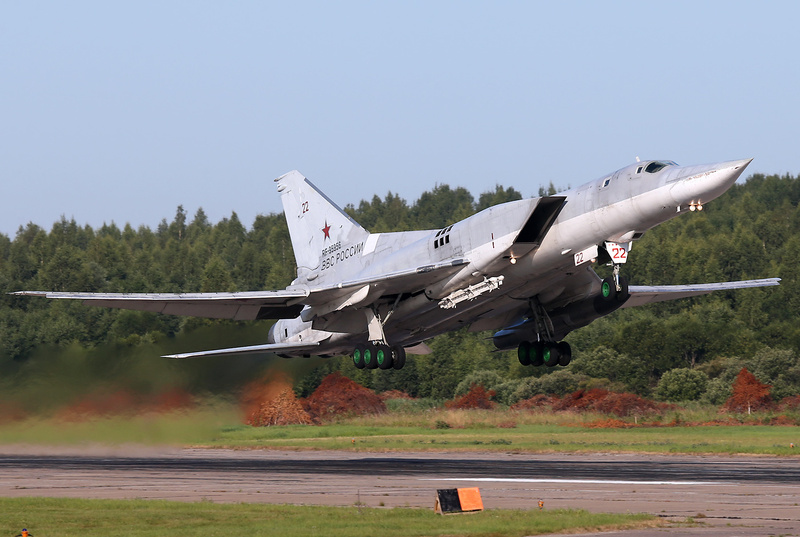 Six Russian strategic bombers (Tupolev Tu-22M3) have conducted air strikes against a major ISIS camp and ammunition depots in Syria, the Russian Defense Ministry (MoD) reported on July 12. 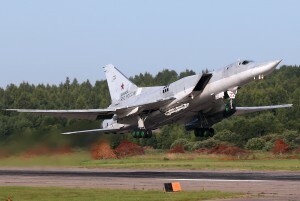 The strategic bombers passed through Iranian and Iraqi airspace and delivered concentrated high-explosive ammunition airstrikes on targets east of the towns of Palmyra and As Sukhnah, and the village of Arak. The MoD said a large militant field camp, three depots of arms and munitions, three tanks, four infantry combat vehicles and eight vehicles fitted with heavy machine guns were destroyed and a large number of ISIS fighters neutralized. Separately, on July 12, Russian warplanes conducted airstrikes in the West Ghouta region of rural Damascus, destroying militant targets near Khan Al-Sheih. A large number members of Al-Nusra and Harakat Ahrar Al-Sham. Up to 25 ISIS militants were killed in a fresh offensive of the Syrian army and its allies in the Deir Ezzor province where pro-government forces were advancing on the Tayyem Oil Fields and Al-Haweeqa District. Clashes are ongoing. In Aleppo, additionally to attempts to regain the Mallah Farms, Al Nusra, Harakat Nour al-Din al-Zenki and its allies launched fresh attacks on Al-Breij and Al-Manasher near the Handarat Camp. 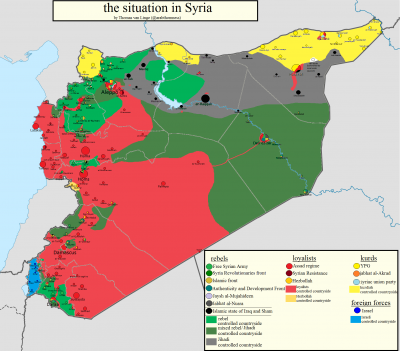 However, pro-government forces were able to prevent the militants from any significant gains. The Castell Road is still under the army artillery fire.